One of the common modifications applied to vintage leather is decoration with military insignias. Cherished jackets either military issue or civilian made often bare the patches and souvenirs of the owners service in the Army, Air Force or Navy. 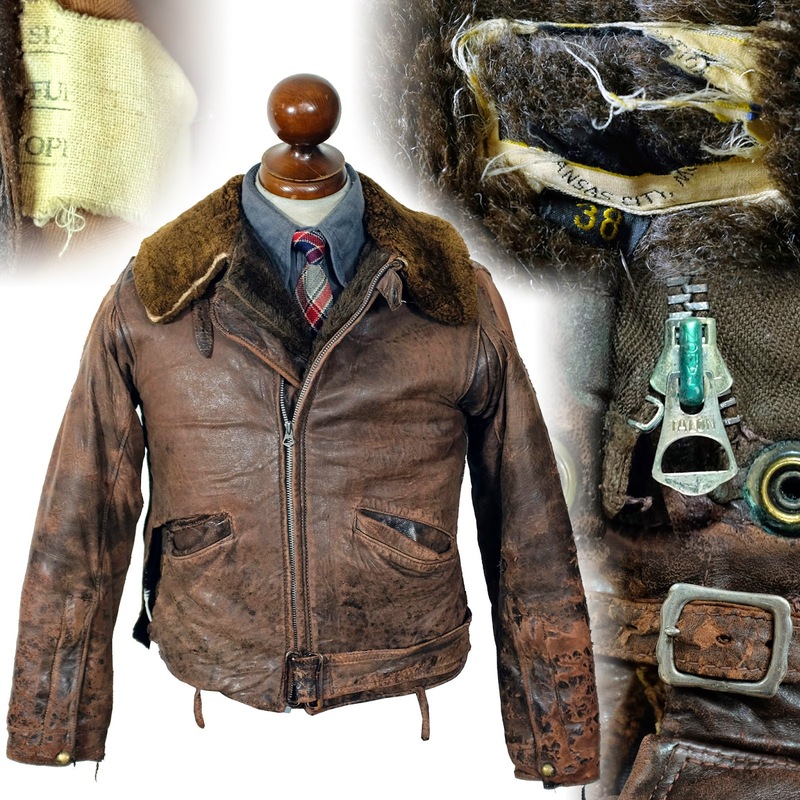 The history and traditions associated with those symbols are usually strongly associated with A-2s as patch work applied to leather jackets from the American Air Force or Army Air Forces of World War Two. What is often forgotten is that other branches and armed forces of other countries had long and deep traditions of military insignias and mascots. During a recent trip to St. Johns, Newfoundland, one of my local friends insisted I have a pint at The Crows Nest. Until my arrival I was utterly unaware of these storied walls. The Crows Nest was established in WW 2 to provide a safe place for Naval Officers to unwind during active duty. St. Johns harbour, one of the oldest in North America was a launch point for many of the convoys that supplied troops and materials for the European Campaign. Outside the harbour safety of St. Johns, Nazi U boats lay in wait to hunt down ships and entire convoys. It was a game of hunt and run between the fast U boats and the Corvettes of the Canadian Navy. Spies were everywhere and Officers needed a facility to drink and discuss the war. As was told by the bartender in the club, naval colours, mascots, female Varga pinups, photos and war souvenirs were both exchanged and donated to the club over the years of active service for the Canadian Royal Navy. There are a million stories here but I will not spoil the tales told within the walls of this club of secrecy. The periscope was from a captured German U boat. I would point out that many designers today still borrow from the rich and often mystical iconography of the young men risking their lives fighting the Axis in WW 2. From bike gangs to military fashion, the power of these images still resonate!